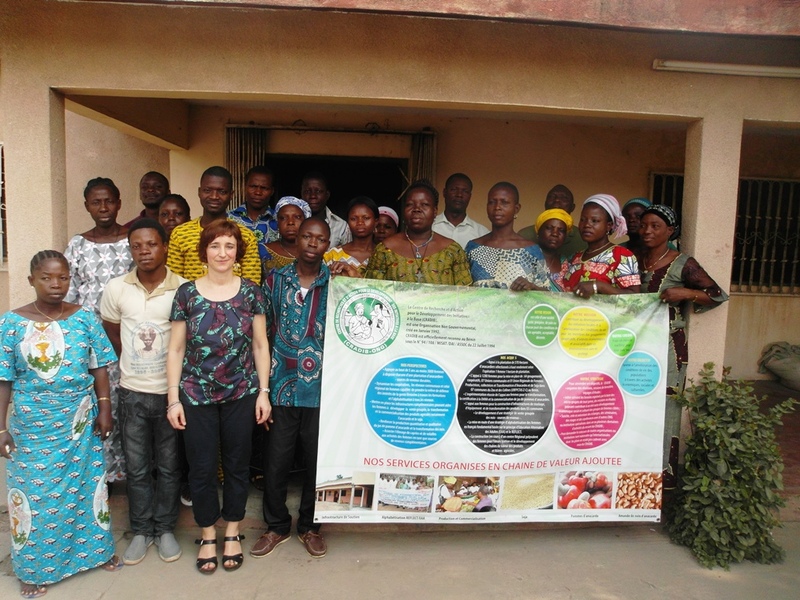 The initiative was of the young nationals of the Subprefecture of Glazoué in 1988 after an epidemic of chickenpox ,Smallpox and Guinea worm which were decimating the children and were making young people at the age of work disabled.Face to the extent of ravage(more than 100 people died in the situation), the young people decided to sensitize the population so that they fight that scourge. The construction of bridges to make easier the transport of people to the health center in the subprefecture for cares. The building of infirmaries and maternities to reduce the risks in death before and after birth giving and of children in rural areas.Thus CRADIB was created to support the continuity of the activities. The Center of Research and Action for the Development It aims to improve the living conditions of the populations through economic ,social and cultural activities. In order to do a state of affairs of the structure funtioning,a general meeting is organised once a year by the 15 leading members of CRADIB.Moreover a board of directors meets once a trimester or 4 times a year.Besides,the administratives committee meets monthly.The administrative committee consists of the Executif Secretary ,a Programm manager, a Statistician, an accountant ,a secretary and a supervisor.However ,apart from the permanent administrative committee the NGO works with non permanent members on contract to implement the different projects. 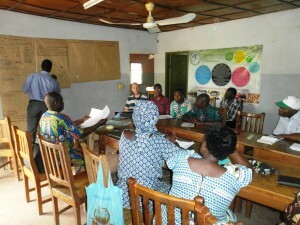 Cradib mainly works with rural women, particularly the associations of women who produce ,collect and transform farm produces coming from isolated populations.For example it is the case of the 72 village women’s cooperatives in Zou that produce,collect and transform cashew and Soya (CVFPCTAS –ZC) in communal Union (UCFPCTAS) and regional union(URFPCTAS ZC) .Those 72 coopertives are Shared in the seven communes of Zou in Zou and collines. This structure intervenes mostly in Zou and Colline departments,more precisety in 7 communes ,namely :Glazoué ,Bantè ,Savalou ,Dassa-Zoume ,Savè ,Ouessè and Djidja .